For #40 chain, these racing sprockets are made of premium high strength aluminum, are precision billet machined, and are clear anodized. 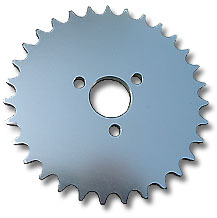 These sprockets fit engine hub part #2039, have a P5248 bolt pattern, a 1.680" bolt circle, and a 1" bore. This Precision-machined clamp-on hub is for 1" ID sprockets, pattern P5248, any chain size. 3/4" bore, 3/16" keyway with 3 threaded bolt holes on a 1.680 bolt circle. 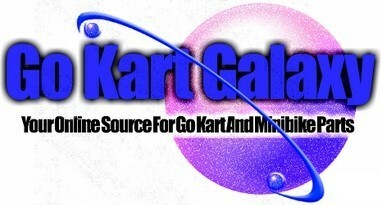 Bolts included. For #40 chain, these racing sprockets are made of premium high strength aluminum, are precision billet machined, and are clear anodized. 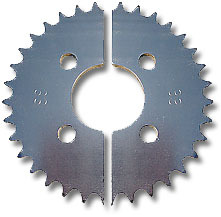 These sprockets come in two identical halves, have a P5237 bolt pattern, a 2.75" bolt circle, and a 1.75" bore.